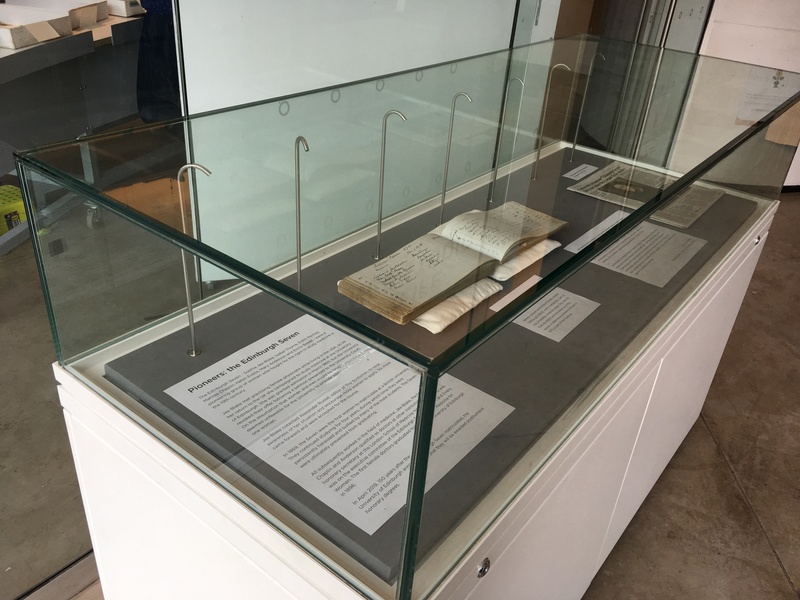 Round the corner from the Botanical Women exhibition in the John Hope Gateway is a case featuring the story of the Edinburgh Seven. The Edinburgh Seven – Sophia Jex-Blake, Isabel Thorne, Edith Pechey, Matilda Chaplin, Helen Evans, Mary Anderson and Emily Bovell – were a pioneering group of women who fought for the right to study medicine in the 19th century. In 1869, they became the first women to matriculate at a British university. During their studies, they attended botany lectures at RBGE, and an 1870 class list from the RBGE archives that features six of their names is on display in the Gateway. Unfortunately, the Seven faced many obstacles during their time at the University of Edinburgh. They were persistently discriminated against and were harassed and bullied by many of their fellow students. They continued their studies for four years, but ultimately were prevented from graduating. The first female doctors graduated from the University of Edinburgh in 1896. In April 2019, 150 years after the Edinburgh Seven matriculated, the University of Edinburgh announced that the women will be awarded posthumous honorary degrees. 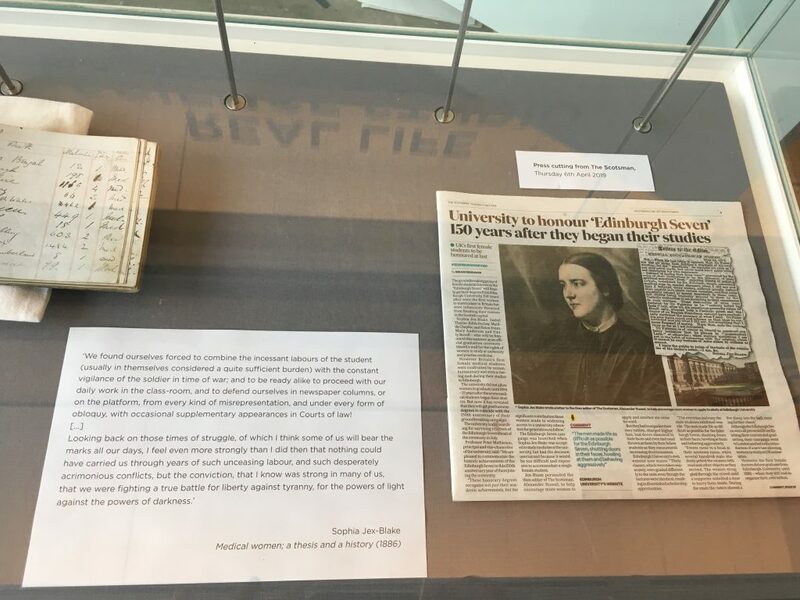 ‘Pioneers: the Edinburgh Seven’ is on display outside the Real Life Science Studio in the John Hope Gateway.